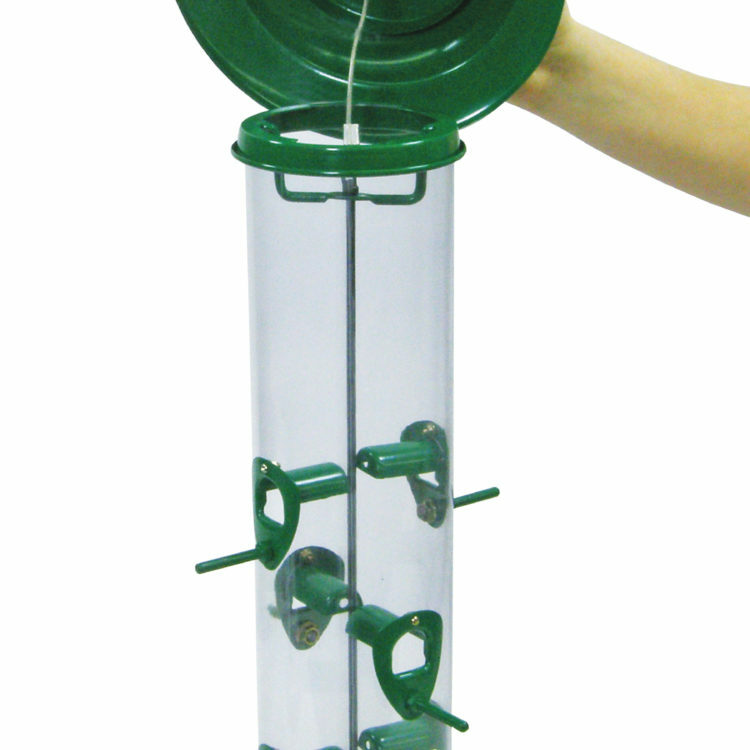 The Stokes Select® 15 in. 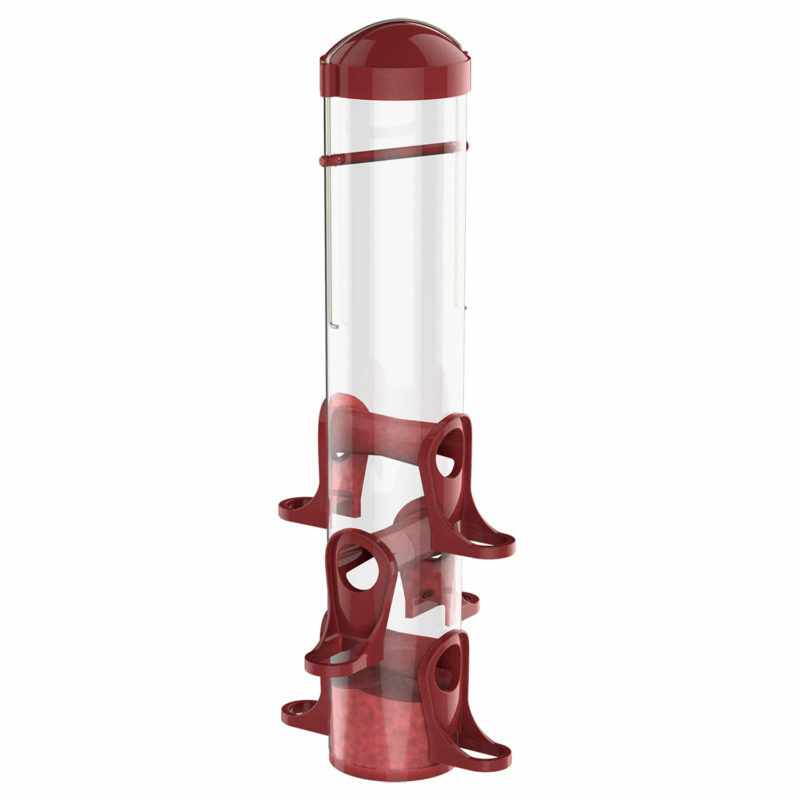 Songbird Feeder is a beautiful maroon tube feeder constructed of plastic that protects and contains seed while allowing you to see when the feeder needs to be refilled. 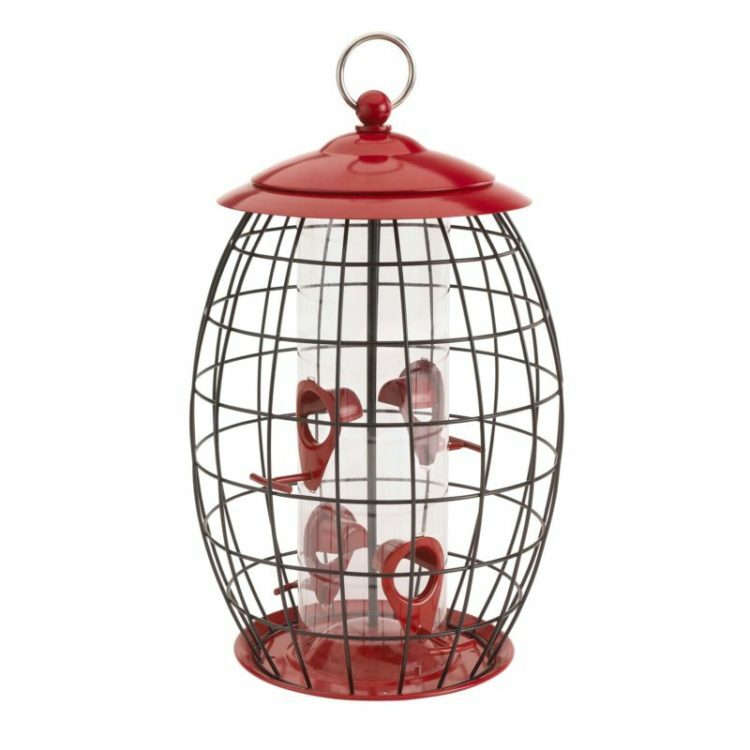 Songbirds love its ergonomic U-shaped perches, while 6 strategically placed ports provide feeding space for many birds simultaneously. A metal hanger comes pre-attached for convenient hanging. 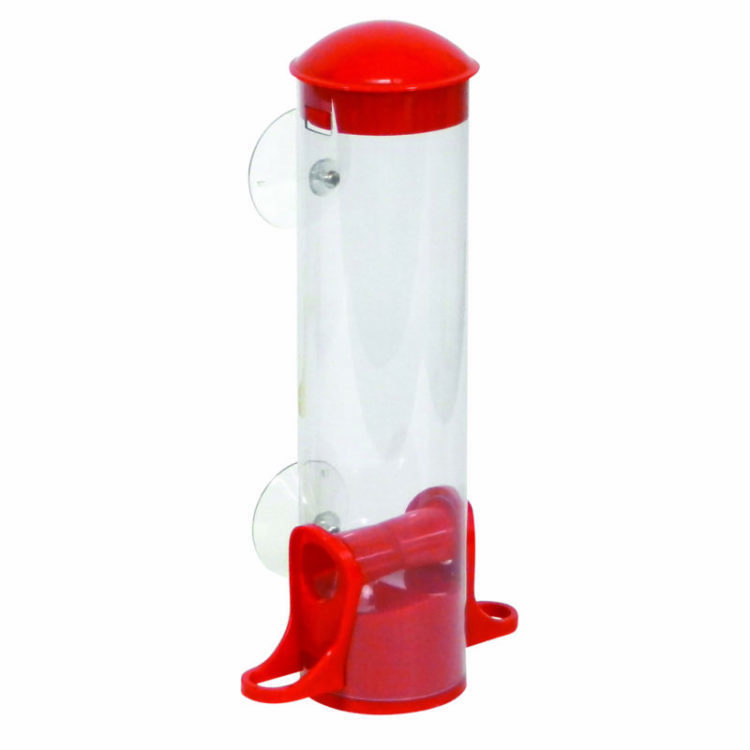 The feeder disassembles for easy cleaning, while its cap slides up the hanging wire for easy filling. This 15 in. 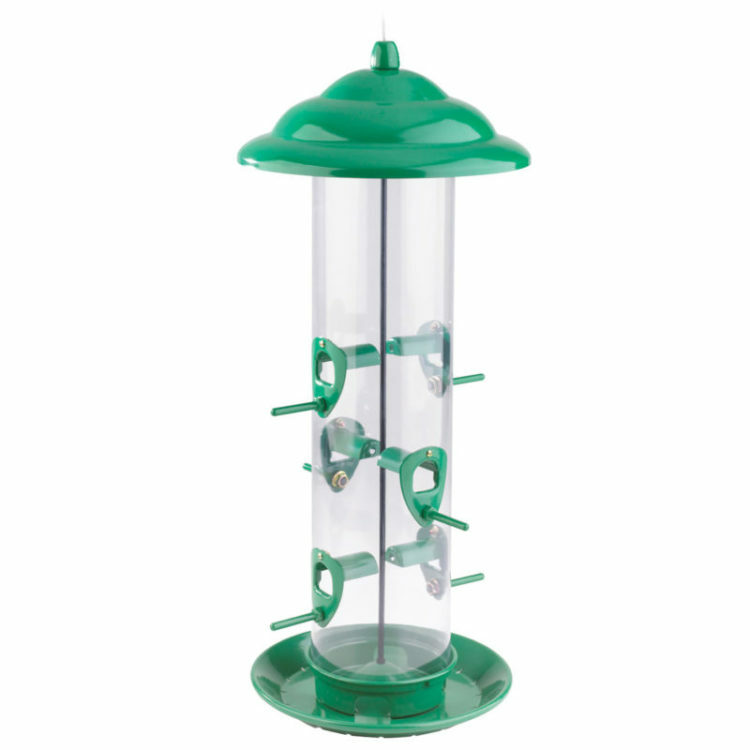 songbird feeder is attractive to a wide variety of birds, turning your backyard birding station into a songbird feeding destination!